Blog - Juice N' Power Exclusive Giveaway!!! Juice N' Power Exclusive Giveaway!!! We are pleased to announce an exclusive giveaway for all of our customers this Summer. 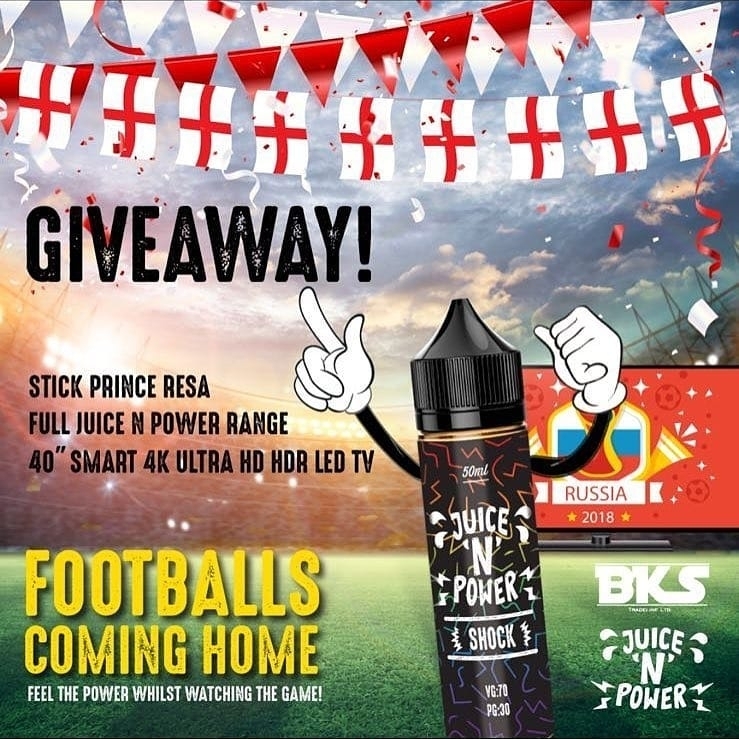 We have teamed up with Juice N' Power to give one of our customers the chance at a fantastic prize. To enter, simply purchase a total of at least 50 bottles across the entire Juice N' Power range, flavours can be mixed in any way you choose! Winner will be chosen @5pm 17th July LIVE on our Instagram, last entry by midnight 16th July. 2. Orders must be completed and paid for in order to be entered. 3. If for any reason some flavours are out of stock/we cannot fulfill the full quantity of your order, but you have ordered at least 50 on your inital order, your entry will still be counted as long as order is completed and paid for. 4. Competition will be drawn live @5pm on our Instagram. 17th July 2018. Last entry must be completed by midnight, 16th July. 5. New customers are welcome, simply apply for an account and once you are approved you will be able to place orders. 6. Maximum 1 entry per store.